River water specialists in West Bengal agree with Mamata Banerjee fears. 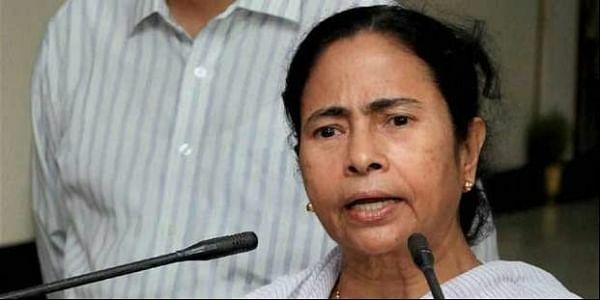 KOLKATA: Chief minister Mamata Banerjee has refused to be party to any India-Bangladesh water treaty that is likely to adversely affect West Bengal’s interests. After having scuppered the Teesta river water sharing agreement between India and the neighbouring country, the feisty chief minister is now opposed to an ambitious Bangladesh plan to build a dam across the Ganga (called Padma in Bangladesh) that the eastern neighbour says will not only solve the water crisis in southwestern Bangladesh but also improve connectivity between the south and north of the country. 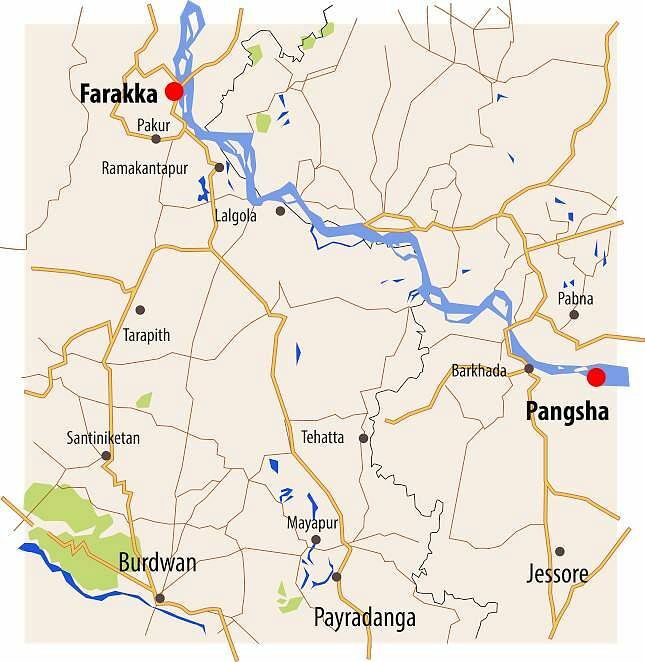 Bangladesh claims that the Ganges Dam, proposed to be built at Pangsha in Rajbari district of Bangladesh 200 km downstream of the Farakka Barrage, would prevent the Ganga from flowing waste into the sea while filling reservoirs for irrigation and drinking along a 165 km stretch of the river. However, after consulting several river water specialists, Mamata Banerjee is not too enthusiastic about the project, saying that damming the Ganga at the spot would increase the risk of flooding in Murshidabad and Nadia districts of West Bengal and also hand over the reins of water control to Bangladesh. River water specialists in West Bengal agree with Mamata Banerjee fears. "The Ganges Dam would be harmful for India as it would increase flood risks during the monsoon. Also when Bangladesh opens the flood gates when it wants to, there may be severe water shortages in Murshidabad and Nadia districts," river water specialist Kajal Maity told New Indian Express. "Mamata is right in not handing over the reins of water control to Bangladesh. The Ganges Dam would adversely affect more than one crore people in Murshidabad and Nadia districts," water specialist Binoy Das said. However, New Delhi is pushing the project. It was on top priority of bilateral talks during Prime Minister Narendra Modi ‘s visit to Bangladesh last year. Accordingly, a central team from the Ministry of Water Resources and the Central Water Commission went to Bangladesh on October 26-28, 2016 to study the project. West Bengal water resources principal secretary Navin Prakash was also part of the delegation. The delegation inspected the proposed dam site and it was decided that both countries would conduct joint research over the feasibility of the project. Accordingly, a Joint Technical Sub-group was formed with one member from West Bengal. But Mamata Banerjee has only become more vocal against the project. She asked her chief secretary Basudeb Banerjee to write to the Centre stating a big 'NO' to the project. Sources revealed that in the letter to the Ministry of Water Resources, Basudeb Banerjee wrote: "West Bengal was kept in the dark over the project. There is no question of our state being part of Joint Technical Sub-group. Since the Farakka water sharing treaty on December 12, 1996, West Bengal has endured losses of around Rs 700 crore due to the breach of river embankments. Not a single penny has been paid as compensation. Now, with the new Ganges Dam, risks of flooding may aggravate. Hence, West Bengal cannot give approval to the treaty." As an answer to the letter, Union water resources secretary Amarjit Singh tried to persuade the state, saying the treaty is important for Indo-Bangladesh relations and expressed readiness for a dialogue with river water specialists in West Bengal. However, the West Bengal Secretariat remained firm against the proposal, stating that the interests of West Bengal cannot be compromised for cozy bilateral relations with Bangladesh. Without West Bengal's consent, the Centre cannot go ahead with the treaty. So, like the Teesta river water treaty, the Ganges Dam may also go into limbo.